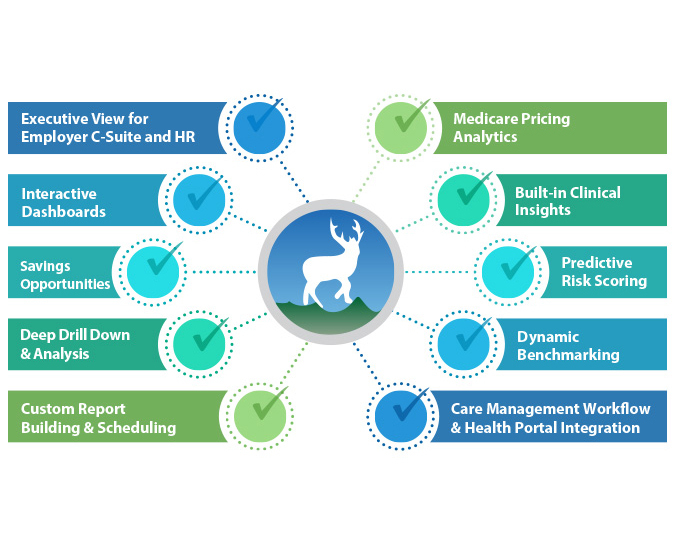 Our mission is to empower our clients, their members and their providers, to make smarter, more informed decisions about their health benefit plans by providing actionable insights on cost, quality and risk, through a modern, scalable and highly accurate population health analytics platform. 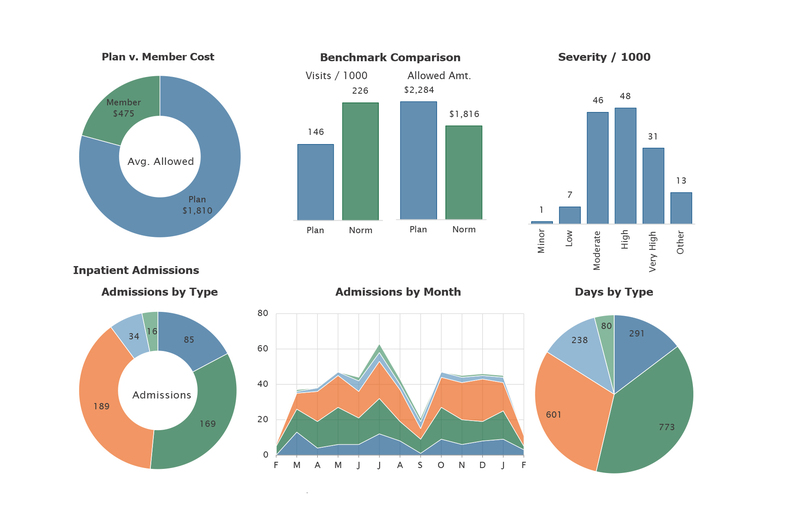 Easily bundle and schedule reports from a vast library of financial, clinical reports and executive style dashboards. System generated insights highlighting areas of overspending and potential savings, including Medicare pricing comparisons, unnecessary ER visits and admits, generic vs brand name drugs, and place of service savings opportunities. 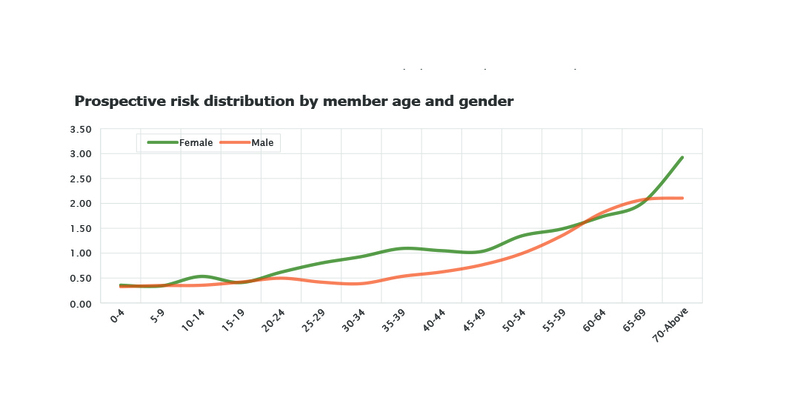 Stratify the concurrent and prospective risk of your population, at the group and member level, using medical and prescription drug claim history.